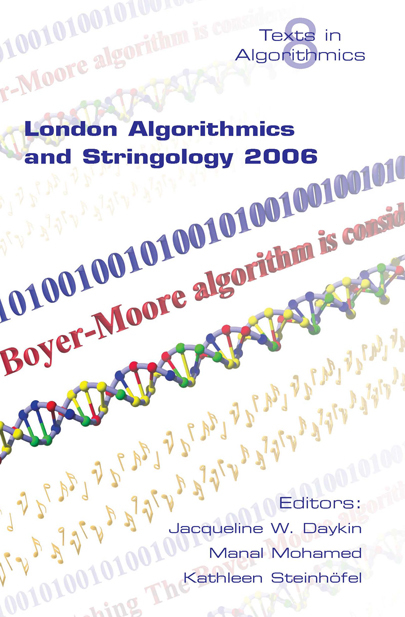 The annual London Algorithmic Workshop and the London Stringology Day provide a forum for the presentation and discussion of ongoing research and current problems in the field of general algorithmics and string algorithms in particular. The present volume summarizes the main results and developments presented at these events in 2006. The contributions are dedicated to aspects of string matching and alignment algorithms, complexity analysis of graph theoretic problems and efficient data structures for string analysis.